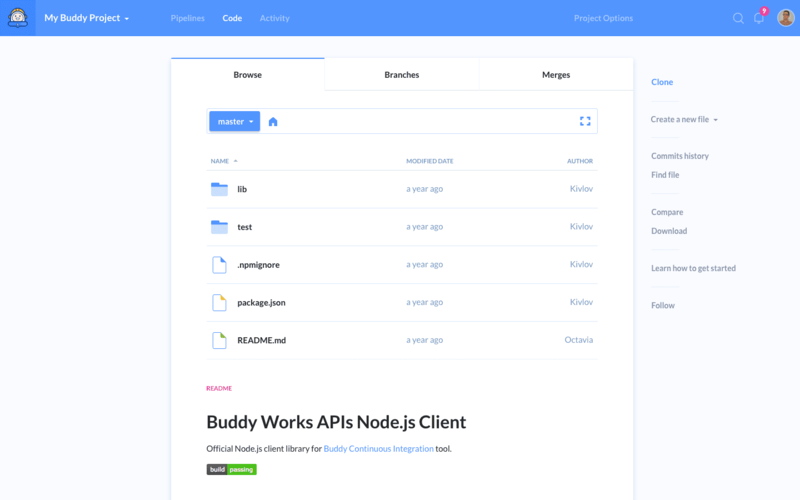 In addition to GitHub, Bitbucket and GitLab support, Buddy offers a fully-featured Git hosting for private repositories, both in cloud and self-hosted version. 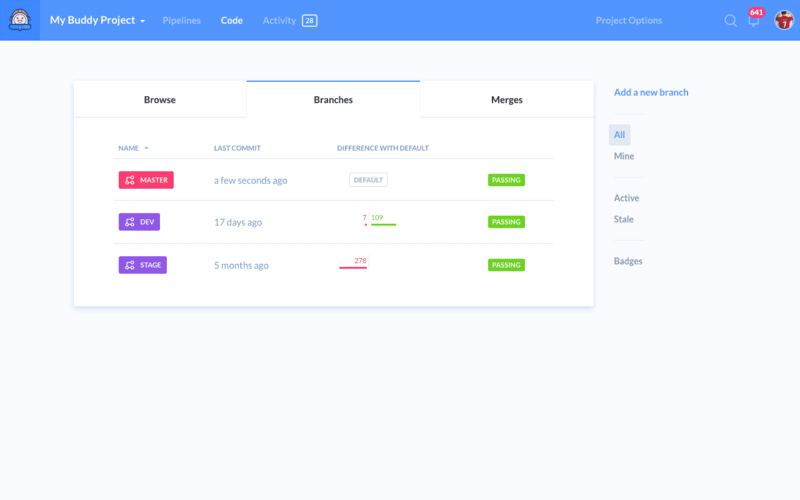 This option is useful for people who like to keep everything in one place, prefer a clean GUI over cluttered interface, or cannot use any of the aforementioned Git providers for whatever reason. TIP: New to Git and version control? Check out our entry level guide. 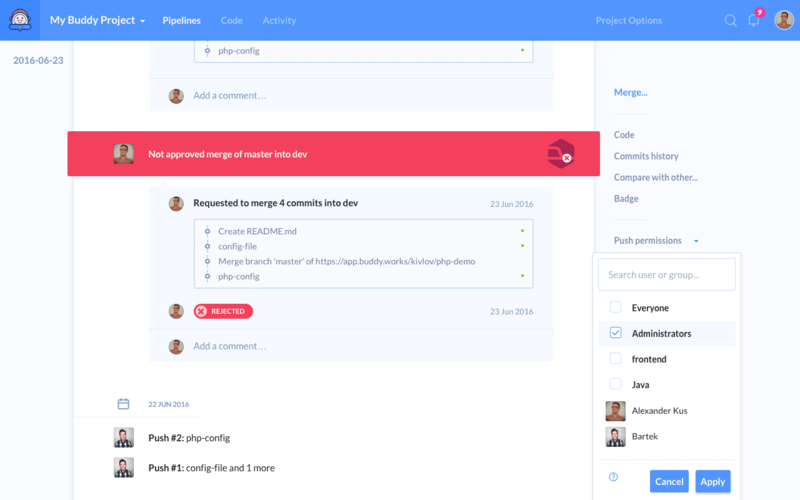 git log, git show, git blame, git diff – Buddy visualizes popular Git commands using the GUI, making it easier to review changes and track progress in the project. Choose the source and the target branch, compare changes, resolve conflicts, and merge with one click. Every option no further than two clicks away. 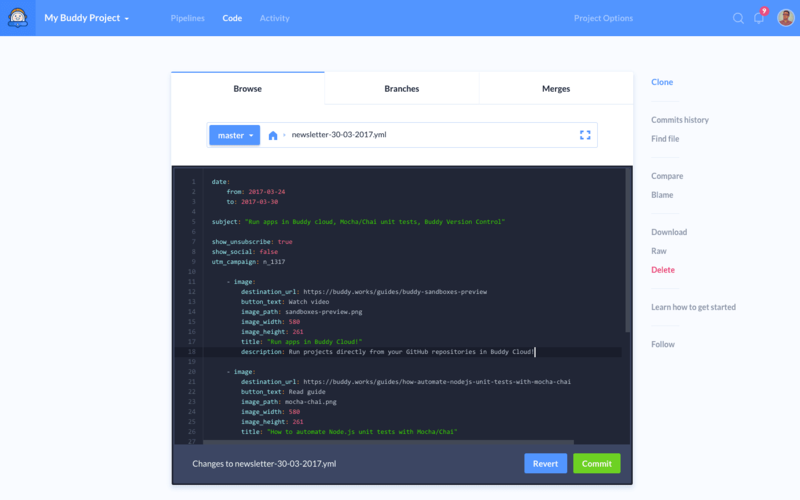 Buddy hosting lets you browse and edit files in a powerful code editor with blame tool and syntax highlight, great for putting out fires on production and correcting website typos. Restrict access to key branches with push permissions. Use merge requests to keep the Master branch always ready for deployment. Automatically build and deploy apps and websites on push to selected branch. TIP: New to CI/CD? 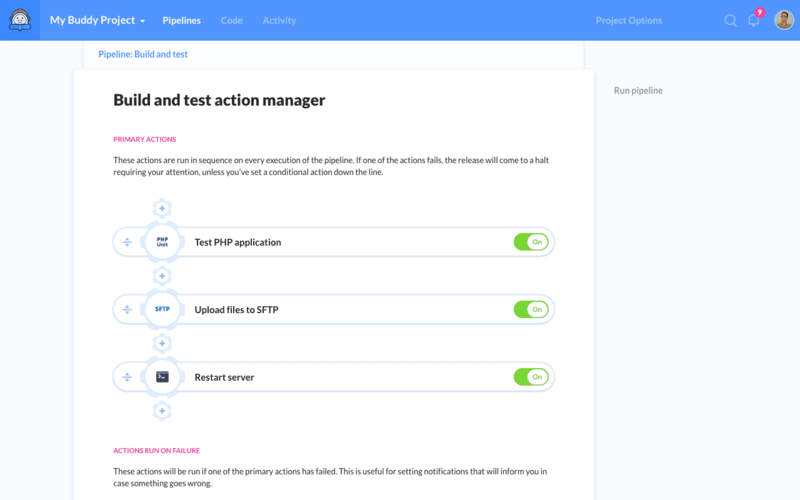 Read how to place code under version control and automate its deployment in this 5-minute guide.